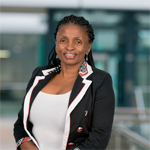 NONYAMEKO is a professional quantity surveyor and has worked for two of the listed construction companies in her career. 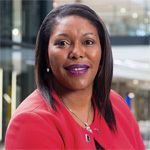 She was also a partner and executive chairperson of one of the largest professional quantity surveying firms in South Africa and more recently, the CEO of an engineering firm. Nonyameko is one of very few professionals who has been involved in every aspect of the infrastructure and property investment and development value chain. Nonyameko’s skills and experience in the construction industry places her in an excellent position to offer relevant advice to Group Five. 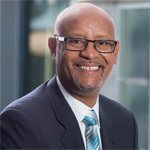 THABO has held the position of CEO of SacOil Holdings Limited (SacOil), a JSE listed company, since 2014. 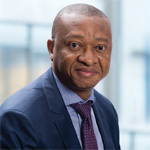 He has a strong engineering foundation, with significant experience in South Africa and the rest of the African continent in corporate governance, strategy, restructurings and mergers and acquisitions. This will provide significant value to the board. 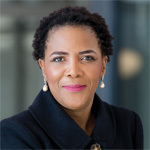 CORA has a strong financial and investment background through various leadership roles at Sanlam, including that of CEO of the Institutional Business at Sanlam Investment Holdings, managing director of Sanlam Investment Management and CEO of Sanlam Private Equity. Prior to this, she worked for Tiso Private Equity and Ethos Private Equity. Anthony is a respected business leader with a wealth of experience of over 25 years as a Chartered Accountant. He has an impressive track record in the finance field, ranging from accounting, business restructuring and taxation to asset disposals. 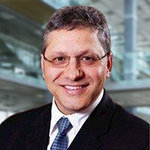 Prior to joining Group Five, Anthony was CFO at Consolidated Power Projects Group, and before that he was CFO at Super Group Industrial Products. 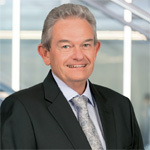 He has occupied various senior management roles at Bridgestone South Africa and Maxiprest Ltd, Barlows Equipment Manufacturing and South African Revenue Services (SARS). His career began in 1987 at PWC where he did his articles of clerkship. EDWARD has South African and global construction experience, including leading projects relating to sewage and water reticulation, hydraulics and hydrology, public transport and street design. This has given him a strong engineering foundation and project management expertise after having led and managed several complex public and private sector construction projects. Through his experience he has also been involved in stakeholder engagement across various relevant stakeholders. JACKIE has extensive business experience and has served on the boards of businesses that have required change management, as well as businesses experiencing rapid growth. The experience of founding and running her own firm is extremely valuable and will add to her ability to give council as a board member of the group. MICHAEL’s experience as the former CEO of Group Five and his extensive experience in the construction and engineering industries will add invaluable skills to the group following a period of management changes. He will bring additional skills, experience and institutional memory to the business. Michael has experience in relevant sectors, particularly in multidisciplinary and infrastructure markets. He understands cultural issues very well, with a particular ability to empower people and address employee issues. 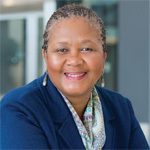 NONQABA has solid experience in the company secretarial field, with particular knowledge of governance issues and JSE compliance. This allows her to effectively advise the board on all legislative and regulatory requirements.